Encourage an interest and continuing education of members in wilderness medicine through didactic lectures and experiential activities. Develop skills unique to wilderness medicine. 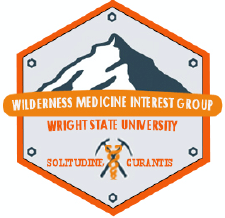 Serve as a forum for examining and discussing current wilderness medicine topics, research and techniques. Encourage student research, collaboration with peers and residents in the Wright State University Emergency Medicine program. Provide a platform where members may link to nationally recognized conferences, speakers, mentors and experiences.